Centennial’s top choice for new and pre-owned Nissan sales is Woodmen Nissan. Located in Colorado Springs, Woodmen Nissan is proud to serve our Centennial customers. Just a short drive down Highway 87, 25 or 24 will bring you to Colorado’s leading Nissan sales team. At Woodmen Nissan, we pride ourselves on outstanding service, unsurpassed knowledge and providing the absolute best deals on new Nissans and quality pre-owned vehicles. 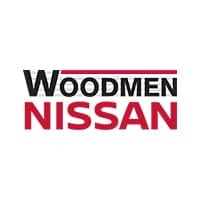 Woodmen Nissan is known not only for providing some of the best prices on new Nissans, we also have the best prices on quality used and certified trucks and cars. Where most auto dealers hire good “sales people,” at Woodmen Nissan, we’ve hired truly passionate professionals — experts in the auto industry who are committed to matching the right vehicle to the right customer. That means providing more than a great price. It means providing service, quality, knowledge and personal attention to each of our valued Centennial Nissan customers. Nissans make the perfect vehicle for just about anyone. With a wide variety of vehicle options, from sleek cars to sporty SUVs to functional crossovers and rugged trucks, Nissan know what drives Americans and has created high-quality vehicles to fit every lifestyle. At Woodmen Nissan, we provide top-notch service and a genuine passion for meeting the needs of our Centennial customers. Our lot boasts a wide array of new Nissan cars, trucks, crossovers and SUVs. Our showroom is stocked with more than 200 vehicles — so our Centennial Nissan customers will definitely find the Nissan vehicle they’re looking for at Woodmen Nissan. Shop for Nissan Murano, JUKE, Rogue, Pathfinder and the Nissan Frontier and enjoy the expertise of our Nissan experts, who are on-hand to answer any of your important questions and help you make the perfect match. These days, many savvy car buyers are looking for used cars. And for good reason: today’s used car market is different than the market of even a decade ago. Quality used cars at Woodmen Nissan look and drive almost as good as new — with a big discount on price. With more than 1,000 quality used cars on our lot, shoppers looking for Centennial used cars will definitely find what they’re looking for at Woodmen Nissan. Our lot contains a large selection of certified pre-owned cars, trucks and SUVs — and our expert sales staff will ensure you find the perfect vehicle for your needs. Under the care of our knowledgeable Centennial, CO used auto sale staff, we’ll have you in the car of your dreams, guaranteed. When your car, truck or SUV needs service or maintenance, you need to find a professional you can trust to get the job done right — and within budget. That’s why Centennial auto owners love the service department at Woodmen Nissan: we provide top-notch auto service and maintenance and help Centennial auto owners make the most of their important auto investments. We’ll keep your car, truck or SUV in tip-top shape and we’ll be there when things go wrong, helping you get back on the road in no time. Even if you don’t have perfect credit (and how many of us do? ), Woodmen Nissan can work with you on options for a new or used vehicle loan. We go the extra mile to secure competitive loan rates and financing for our Centennial new and used car buyers. Woodmen Nissan’s auto financing specialists will work with you one on one to ensure your receive the best auto financing available. We’re committed to providing financing options so more Centennial residents can get into the car of their dreams at an affordable rate. Don’t want to purchase? Woodmen Nissan offers incredible leasing options for new and used vehicles. Looking for the best of Nissan’s 2015 models? You’ll find them at Woodmen Nissan. Our showroom and lot are stocked with the best and brightest new Nissan models: Pathfinder, LEAD, Cube, Versa, Maxima and more — all located conveniently near Centennial. Woodmen Nissan is located in Colorado Springs, less than an hour from Centennial. Woodmen Nissan also has a convenient online showroom, so customers can browse our vehicles from the convenience of their homes before paying a visit to our beautiful showrooms and well-stocked auto lot. Centennial customers looking for the best deals on new Nissans and quality used vehicles first stop should be at Woodmen Nissan.